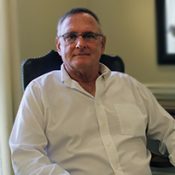 Dr. Hutton has been with our practice since 1986. He graduated form the University of Tennessee Dental School. His father Dr. Joe Hutton started the practice in 1952. 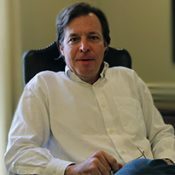 Dr. Randy is a member of the Omicron Kappa Epsilon Honor Society and the Richard Doggett Dean and Marguarite Taylor Dean Honorary Odontological Society. He has two grown children and enjoys, UT Football, working around the house, and Photography. 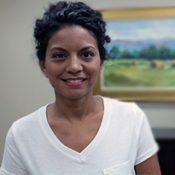 Dr. Mays has been practicing since 1997 and graduated from the University of Tennessee School of Dentistry. Member of Nucleus Knoxville, East Tennessee Historical Society, and Sons of the Revolution. He has been with this practice since 2001. He has three fun loving sons that are into baseball, tennis and golf. He has been married to a successful veterinarian for 22 years. He loves spending time with his family, going hunting, and golfing. 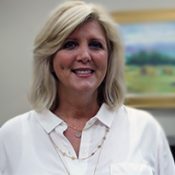 Martha was born and raised in Knoxville in the Fountain City area. She graduated from Central High School and then attended ETSU Dental Hygiene School. 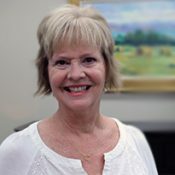 She has been practicing Dental Hygiene since 1977 and has been with our practice since she graduated. She has a daughter, Paige, who is in Grad School. She loves spending her extra time raising Quarter Horses on her family farm, going to the lake as well as the beach. Come in and see her today. Susan is a longtime employee of this practice. She is a graduate of ETSU and is well trained in managing and helping you maintain your oral health. She and her Husband Lance live in Fountain City and have three beautiful daughters and two dogs, and two grand dogs! They are very active in their church. Some of her other hobbies include… going to the Lake, hiking, biking and Big Orange Football! She looks forward to building a relationship with you and helping you achieve your goals for health and comfort. Chelsea grew up here in Knoxville in the Halls area and graduated from ETSU dental hygiene school in 2006. She has also been a patient of ours since she was a little girl and now we are blessed to have her here as part of our staff. 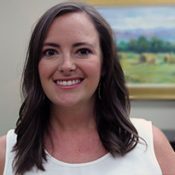 She has over 4 years of experience in Pediatric Dentistry and loves seeing new families with kids. She is married to her husband Matt and has a daughter Emery and a son Tate. She enjoys scrapbooking, going to the Lake, and shopping! She would love to start building a relationship with you and your family today, come in and meet her. Rachel is the newest member of the team but has been practicing since 1999. She graduated from Tennessee Technology Center. She grew up in Knoxville, and has lived in the Gibbs area for 12 years. She is married and has two beautiful daughters. Rachel enjoys time with her family, church, traveling and hanging out by the pool. Donna has been a team member since 2010. 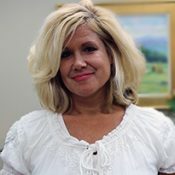 She is a graduate from the University of Tennessee and has extensive experience in office administration/management, financial arrangements, as well as insurance and scheduling. Donna and her Husband Mike live in Halls, they have one son and daughter in law and three dogs. She enjoys attending church, spending time with her family, antiquing and walking. 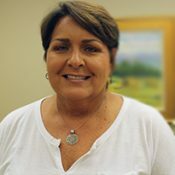 Jennifer has been a dental assistant since 1991 and has been with the office since 2011. She has loved working with Dr. Hutton and enjoys her career. Jennifer’s faith, family and friends are very important to her. She also loves taking care of her patients and making them feel welcome. She also enjoys going to the beach, ice skating, and snow skiing and of course UT Football!!! 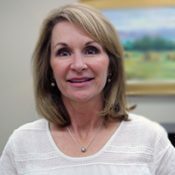 Shelia has over 30 years of dental experience. She has been a Dental Assistant, worked in an Orthodontics Office and now we are so lucky to have her as part of our staff. She loves walking, reading, doing crafts and spending time with her animals. She grew up here in Knoxville and has two grown children.